As various young athletes push themselves to the limits this week, competing against each other for glory and validation on the world stage, Vulture has scored what might be the ultimate in 2018 Winter Olympics coverage: An oral history of that time back in 2014, when Bob Costas got pink eye so bad that he had to be taken off the air. 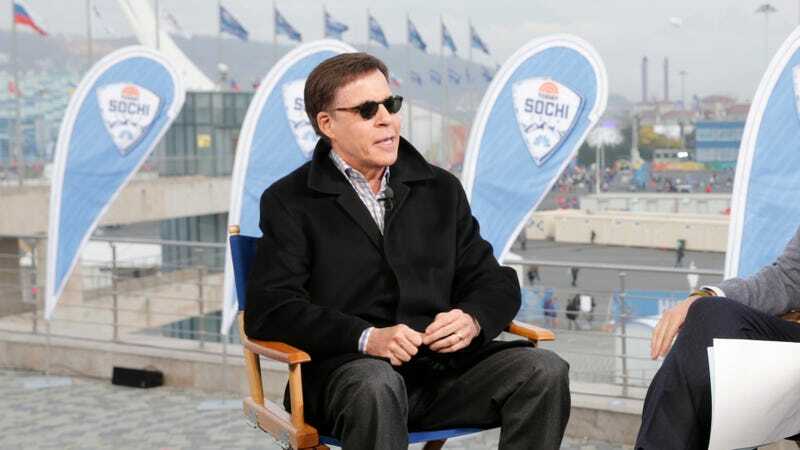 For those whose memory of public eye diseases is lacking, the event took place during the Winter Games in Sochi, Russia, and ultimately led to a lot of blinking, a lot of crying, and Meredith Vieira becoming the first woman to ever host primetime Olympics coverage on her own. That’s some momentous conjunctivitis, and the Vulture piece tracks it all: From the initial attempts to cover up Costas’ eyes with make-up and glasses, to his long night of the soul, forced off the air and subject to Twitter’s most relentlessly Mean Girls-esque mockery, to his eventual, triumphant, still-kind-of-pink-eyed return. The decision to take him off air was … not difficult. We were unable to mitigate it in any way through glasses, lighting, or camera angles, and I think Bob could not have been a better soldier about it. He was willing to try or do anything to try to continue, but he needed to be reading copy, and pronouncing difficult names of foreign athletes—reading is a pretty important component. And also, you don’t want to make the audience feel queasy about how there’s a guy in their living rooms with a case of double pink eye. You can read the whole, epic account right here.